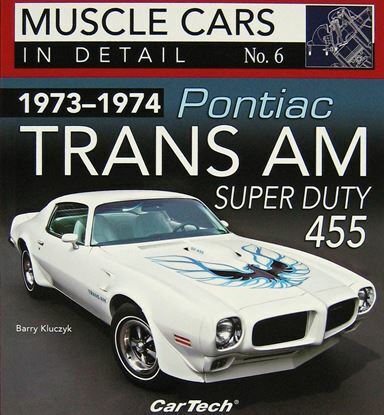 This volume in the Muscle Cars In Detail Series delivers a comprehensive review of this trend-setting and historic car. 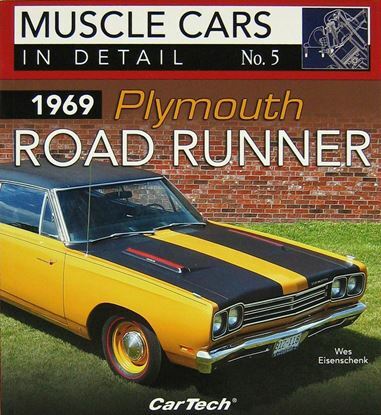 By the mid-1960s, the American automotive market was yearning for faster, more responsive, and sportier cars, and a crew of high-performance enthusiasts at Pontiac recognized this. 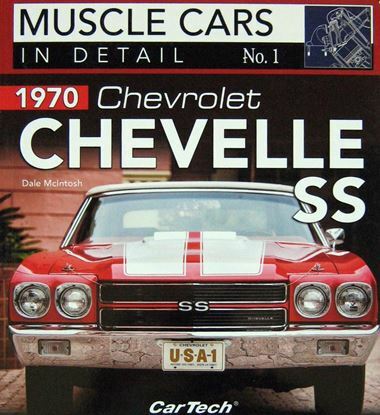 Large V-8s were commonly installed in full-size cars, but performance was hampered by pure chassis weight. 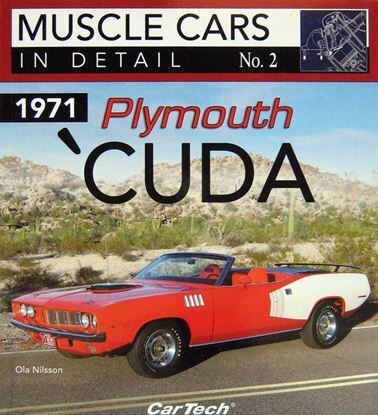 Under the guidance of Bunkie Knudsen, John DeLorean, Bill Collins, and others, Pontiac installed the high-performance 389 V-8 into the nimble and lightweight intermediate-size LeMans chassis. 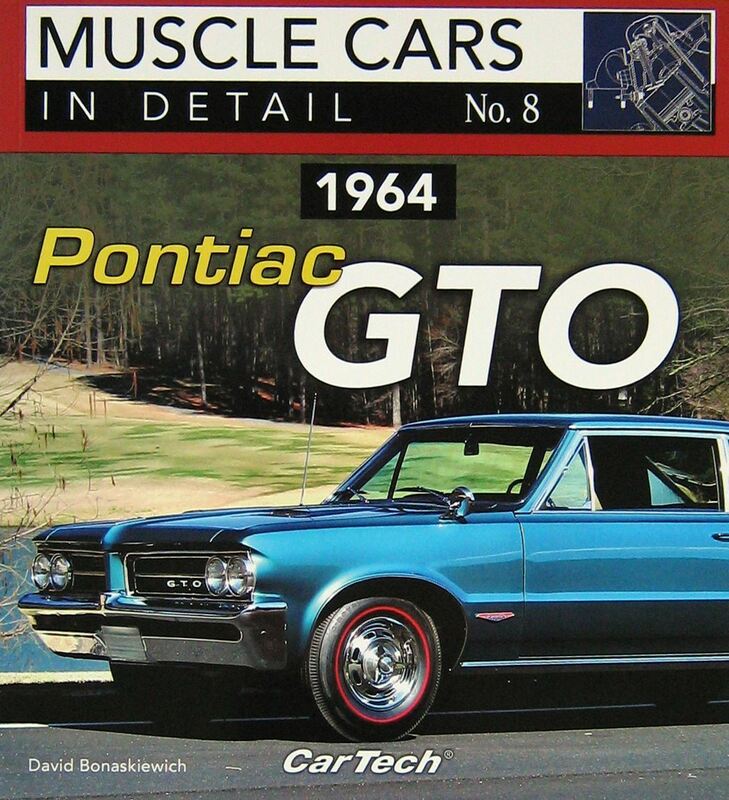 It was a watershed moment for Pontiac; the 1964 GTO delivered astounding performance and created the muscle car blueprint that the Detroit manufacturers followed in the 1960s and 1970s. 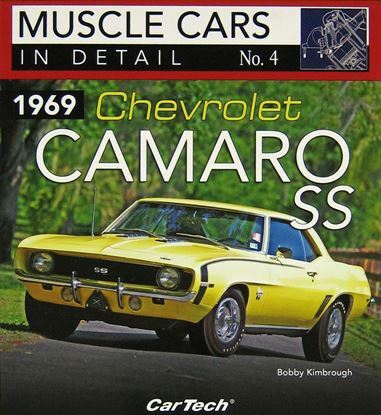 This volume in the Muscle Cars In Detail Series delivers a comprehensive review of this trend-setting and historic car. 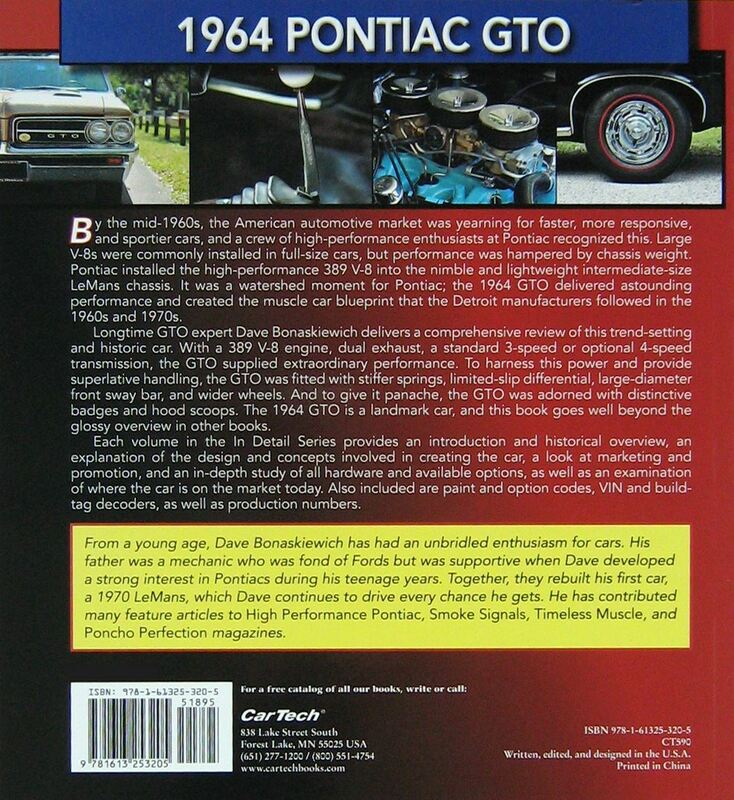 The GTO housed a 389 V-8 engine with a single Carter AFB 4-barrel carburetor, and along with dual exhaust and a standard 3-speed or optional 4-speed manual transmission, it supplied extraordinary performance. 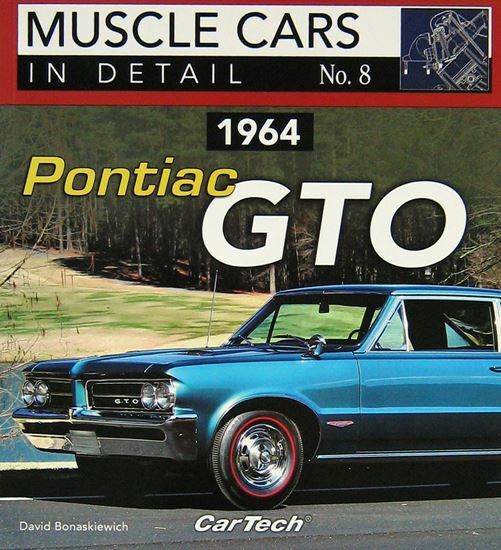 To improve traction and handling, the GTO was fitted with stiffer springs, larger-diameter front sway bar, and wider wheels. And to give it panache, the GTO was adorned with distinctive badges and hood scoops. 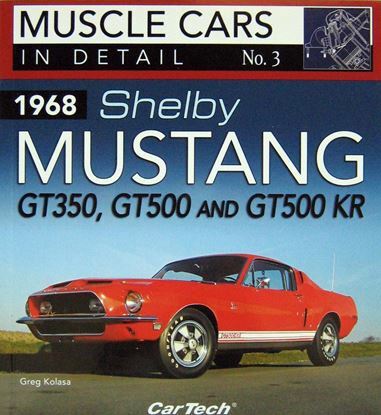 The 1964 GTO is a landmark car, and this book goes well beyond the glossy overview of other books about this car.